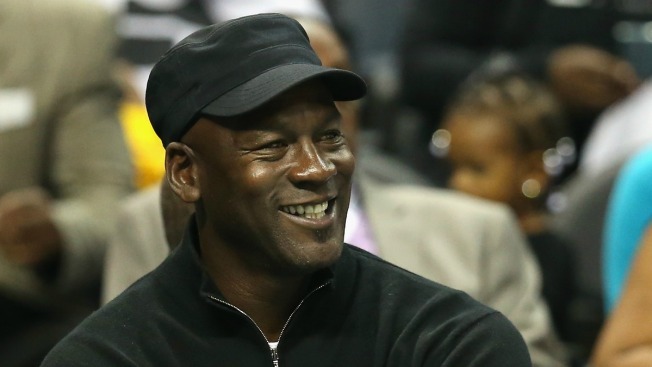 Michael Jordan has donated $5 million to the newest Smithsonian museum, which is set to open Sept. 24. Retired NBA player Michael Jordan has donated $5 million to the National Museum of African American History and Culture's Sports Gallery, according to the Smithsonian. Other notable athletes, including baseball Hall of Famer Hank Aaron and former basketball player Magic Johnson, have also made donations to the museum. Jordan also donated his game-worn 1996 NBA Finals home jersey to the museum’s permanent collection. A section of the sports gallery will now be named "The Michael Jordan Hall: Game Changers," the Smithsonian said. Jordan will be one of 17 "game changers" featured in the museum. The announcement is timed for Aug. 9, the anniversary of a huge accomplishment by another one of its game changers: Jesse Owens. Owens won his fourth gold medal 80 years ago, at the Summer Olympics in Berlin Aug. 9, 1936. "I am grateful for the opportunity to support this museum," Jordan said in a statement released by the Smithsonian. "I also am indebted to the historic contributions of community leaders and athletes such as Jesse Owens, whose talent, commitment and perseverance broke racial barriers and laid the groundwork for the successful careers of so many African Americans in athletics and beyond." After more than four years of construction, the new 400,000-square-foot Smithsonian museum is set to open Sept. 24, NBC Washington previously reported. "We are extremely grateful to Michael Jordan for his game-changing support,” said Lonnie G. Bunch III, founding director of the museum, in the Smithsonian statement. "His gift will enable our visitors to explore how sports were used to break barriers as a way to gain full participation in American society. The Sports Gallery will celebrate how African Americans have changed sports—and how African Americans in sports have changed America."